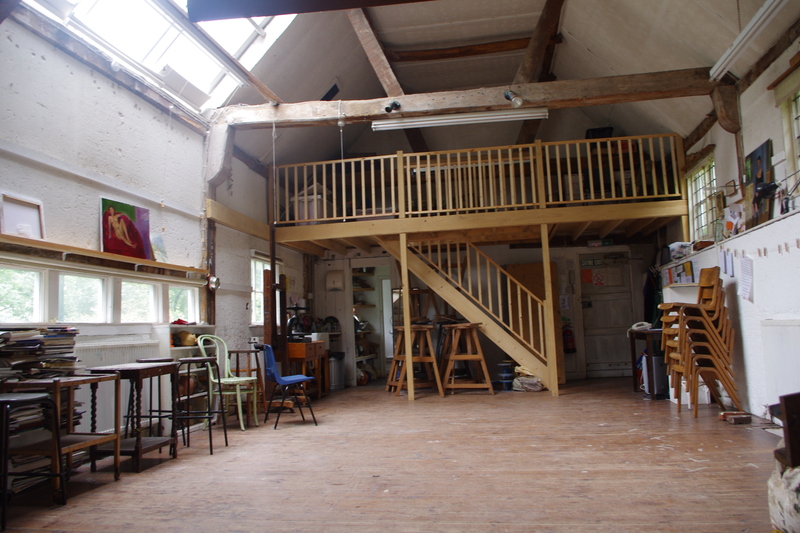 Our main studio is spacious and has a friendly atmosphere to work in. It has an interesting Mezzanine level and a large section of the roof is glass providing plenty of natural light. This studio can be hired over weekends, half terms or during the summer break. The cost is £35 per day. Have a look on our Calendar page to check availability.